Pubs are a pivotal part of any Londoner’s social life. It’s rarely an inappropriate time for a quick pint with a mate. The art of the pub, in my view, is to create a warm atmosphere that lends itself to good conversation. Open fires and a good selection of beer are bonuses. 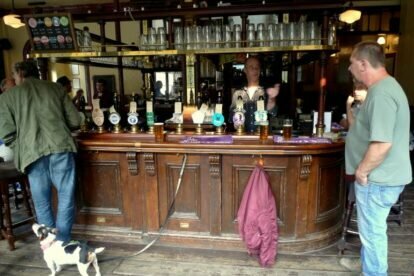 Everyone has their own specific pub preferences – The Wenlock is a favourite of mine. For one, it has a strong selection of locals – semi-permanent customers who determine the tone. Expect at least one of this motley crew will strike up conversation with you at the bar. Don’t panic, they don’t bite – and you never know, you might even learn a thing or two. This tiny pub also offers a good range of changing ales and lagers in a traditional setting (and, yes, it does have an open fire). They also provide simple but delicious snacks including hot cheese toasties – great for warming your soul on a cold winter’s day.